By now I am usually well into my spring tench campaign. However, when circumstances are beyond your control, there’s nothing you can do about it. And in this instance the blocking tactics were the conditions. In fact I couldn’t fish at all anywhere for a few days as I was well and truly snowed in. Fortunately I work from home and so my life wasn’t seriously disrupted – just the fishing. 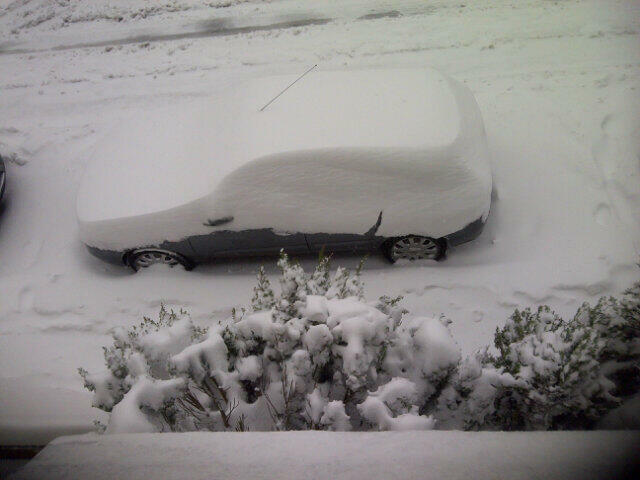 Once the heavy and persistent snow had stopped I had to dig my car out. But that done Sunday afternoon, I was all ready for an early start on Monday. Assuming I could get the car out onto the tyre track others had created in the centre of the road. After a few seconds of spinning wheels I made it and I was on my way. I was up at 4.47am, wide awake, with my body screaming at me, ‘Take me fishing, take me fishing’. After a few days off I was just happy to oblige. It was a cold day with actual temperature minus 2C but with a ‘feels like’ of minus 8C. And it did feel like it as well. As I have been doing on all my recent canal chub sessions, I fished 6lb Maxima with my rod and reel being a Fox Barbel Specialist 1.5tc (quiver tip option) and an Okuma Travertine respectively. 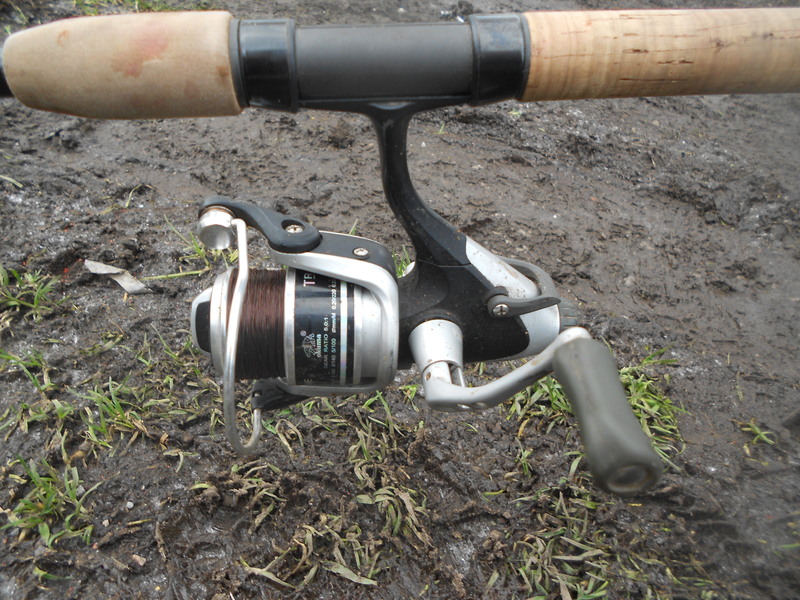 The latter is a cheap, entry-level baitrunner reel and although it’s not up to the job for bigger species, it’s perfect for chub. I say this to highlight the fact you don’t necessarily need to spend vast amounts on gear. On arrival at the canal I took a water temperature reading and found it had dropped 50% in a few days from 7C to 3.5C. Regardless of species it’s going to be tough when faced with those statistics. But at least going for chub gives you a chance. 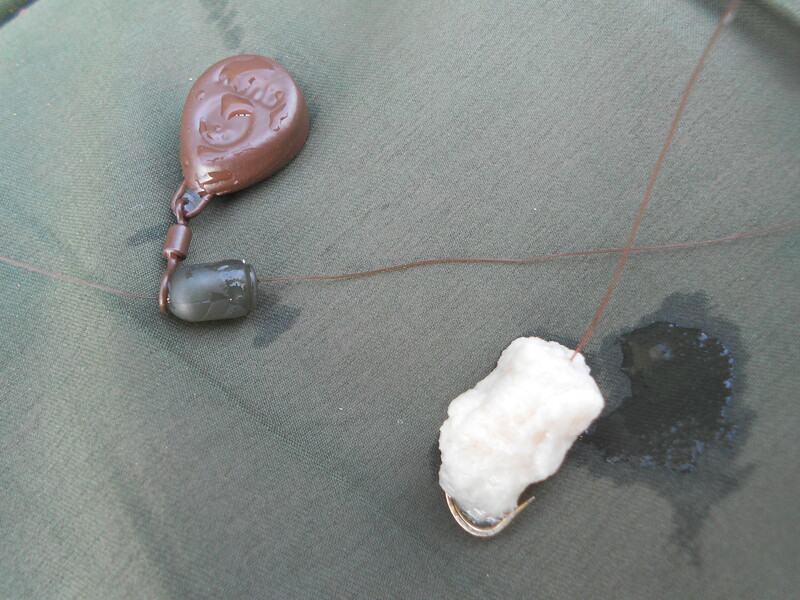 I fished with SBS frankfurter sausage, as detailed in recent blog entries, and threw out a few broken pieces. My session was short, a three hour one in total. I’m always confident and a couple of half-hearted plucks added to my positive mentality. There were fish about and at least they were picking at their food. With the hookbait immersed in frankfurter sausage dip I was confident it would give me the edge. And it did, right at the end, but in the conditions I was happy. Tuesday morning was groundhog day with everything identical to the day before including the very cold conditions. 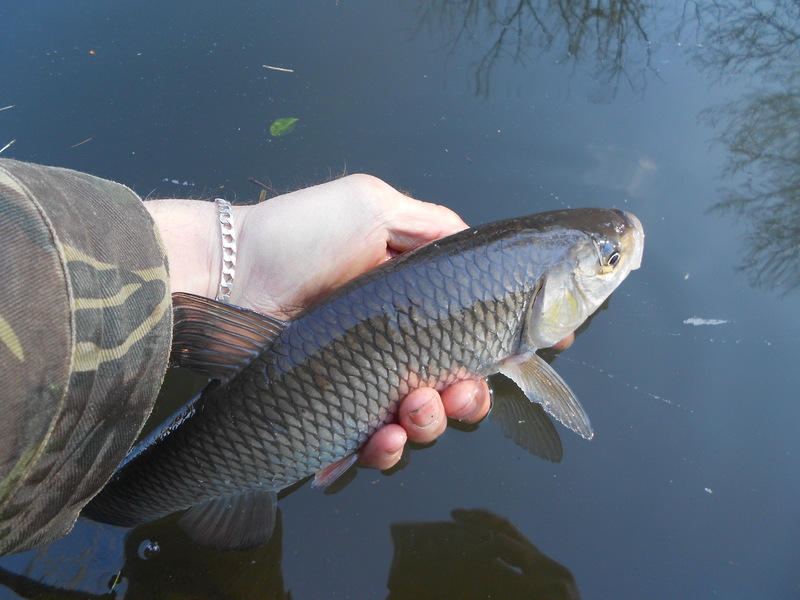 And again, I managed a single fish after two enquiries that didn’t develop. 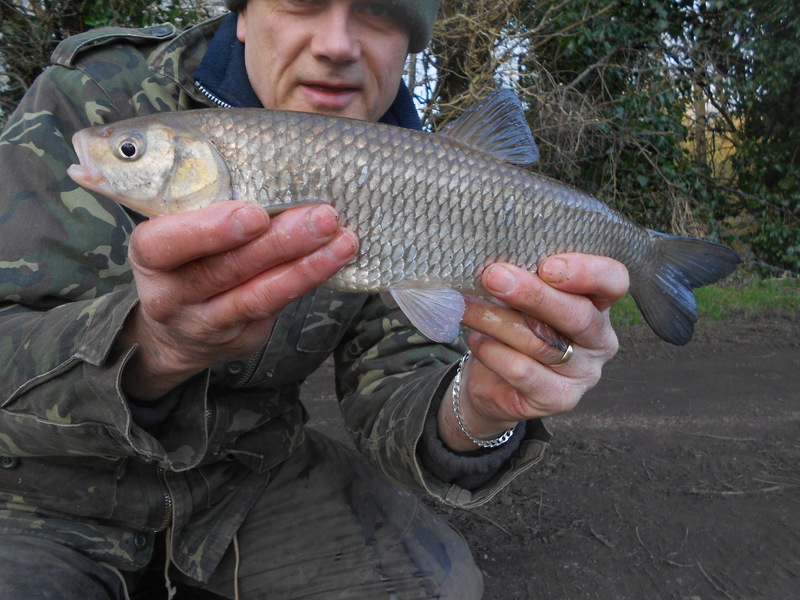 You can see the chub in the photograph below on the bank. 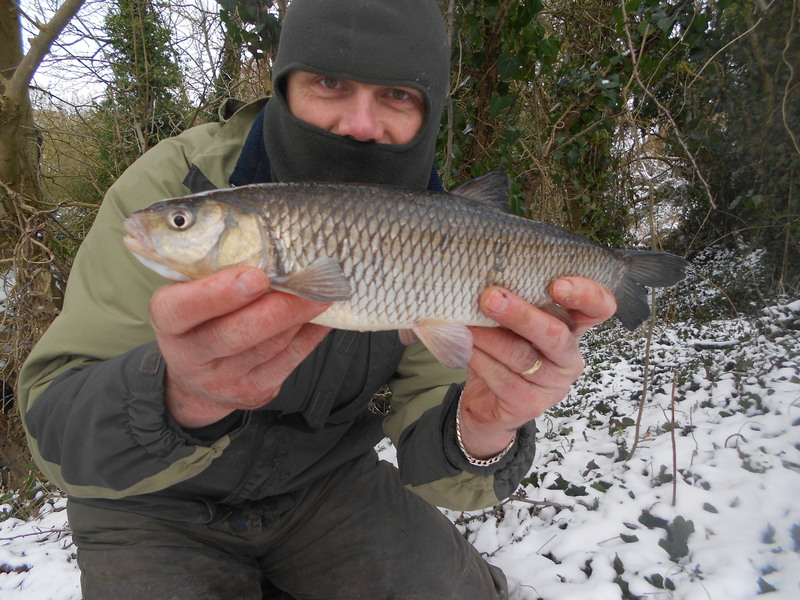 Harsh weather to fish in but two short morning outings and I had caught in both, albeit just one fish in each session. The next morning’s return to the canal was all change. Apart from the weather, that was exactly the same, with some snow thrown in for good measure. 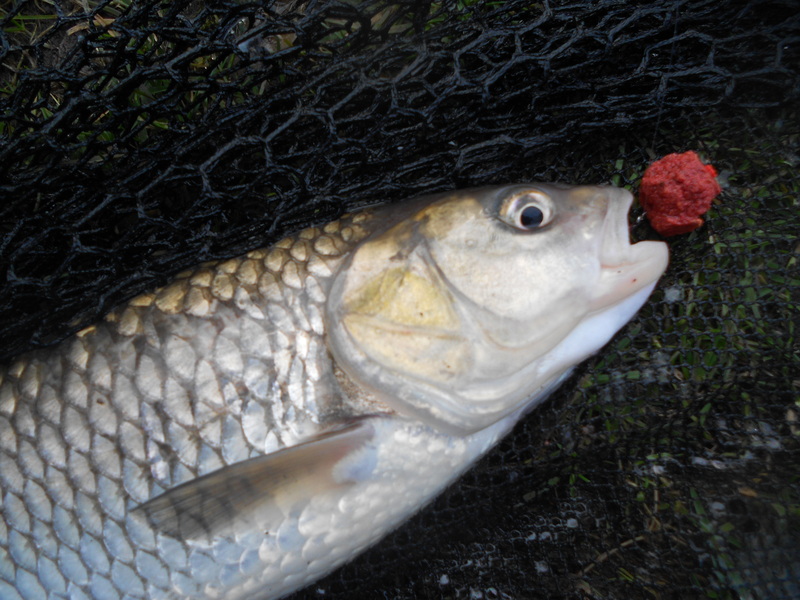 I fished a different swim, hoping that I would find some shoaled up monster chub. My approach was legered bread on a size 4 Drennan Super Specialist with mashed bread and brown crumb/SBS redfish as an attractor. The lead was a free-running 1/3 ounce flat bomb with the hooklength of 5″ created by a small shot and the top section of a Greys rubber. All very simple but served me well in recent times, either that exact set-up or a small ESP bead before I discovered the Greys product. On this occasion though, even though I blanked, I did have several plucks but they were from small fish. The three-hour first-light sessions really suit me as I’m back home and ready to face the rest of the day well before 10.00am. When I arrived after Wednesday’s session I found the couriers had been and three packages were waiting for me. Including some dropshot gear. I couldn’t wait, so I put everything else on hold, spooled up and returned to the canal. I know that when we mention dropshotting we invariably think of perch, and that will be my main line of attack in the future when I get going, but this time I kept my chub head on. I know it’s pretty difficult to eliminate other species altogether (not that perch will ever be unwelcome) but fishing a section with a good head of chub, combined with the very low water temperature I was able to focus my attention. Working the Berkley minnow along the side under a bridge suddenly the rod met the solid thud of a fish and moments later I’m netting a chub. Not a big one, but as it was my first fish on the method, it was definitely worth a pose shot. 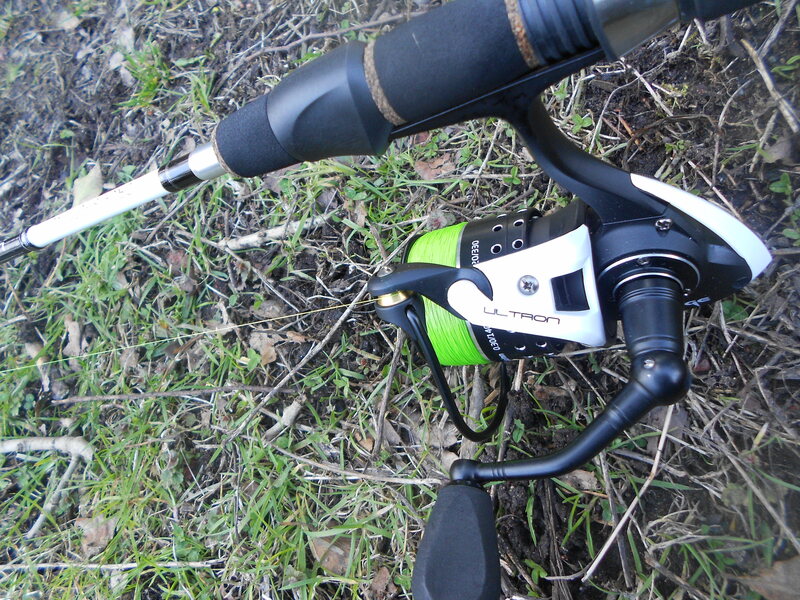 Watch this space for a future debut perch dropshot entry, where I’ll run through my gear etc. But in the meantime, this week at least, my focus is on chub. And that focus saw me up bright and early the next morning for a Thursday assault. I switched to bread on the hook for this session. 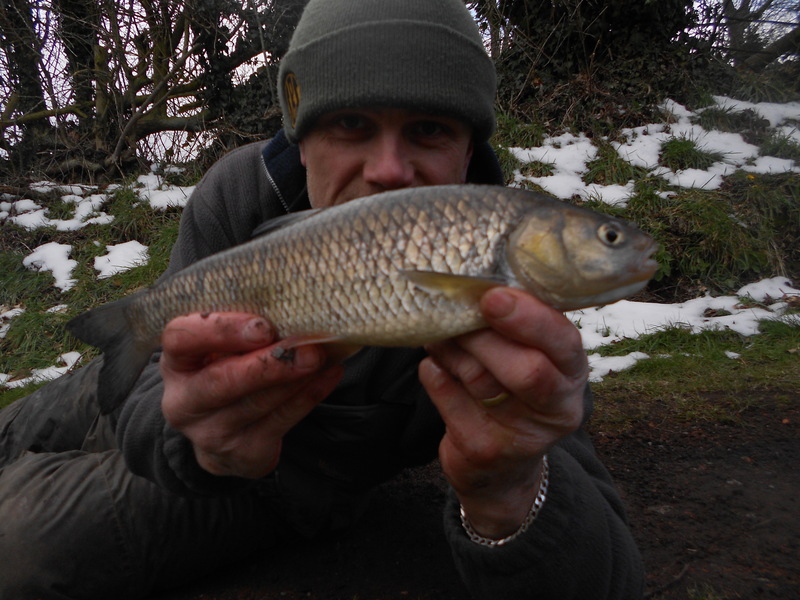 I had a number of taps but just the one fish on the bank. Not a monster but decent enough to pose with. 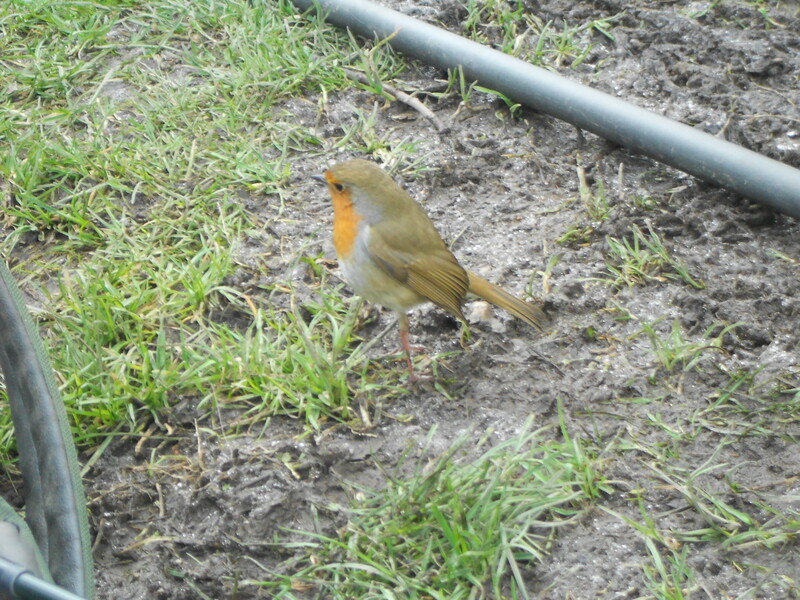 I had a visit from a friendly robin, it was just a shame I had no maggots to feed it. Birds need our help during the extreme weather and free food can literally mean the difference between life and death for our feathered friends. And on the bird front I was truly entertained by a song thrush in full voice from a tree directly in front of me on the far bank. My final outing of the week saw me once again on the bank at first light a day later. I stuck with the bread over mashed bread/crumb approach and was rewarded with two fish to see the week out. They weren’t big although I wasn’t complaining as in the extreme conditions anything was a bonus.